Snapped at a baseball game with his family, footballer David Beckham seems to be enjoying his retirement. It wasn’t a celebrity stylist making sure Becks was looking fashionable, but his two-year-old daughter Harper Seven. Instead of focusing on the game, the cute toddler was much more interested in feeding Becks snacks and making sure his cap was the right way round. This kind of attention probably comes in handy for David, who has an impressive collection of hats. You don’t need to enlist the help of a stylist or Beckham’s daughter to pull off his look - just follow these simple suggestions. More formal than a tee but less stuffy than a shirt, polo designs are the perfect choice for men who want to look like they've made an effort without overdressing. The sporty but classy style works on all physiques, while the comfortable cotton is breathable and soft. Go bold in bright colours or channel Becks' understated outfit with a darker number. Doing all the buttons up might feel a bit excessive, so get a more relaxed look by leaving the neck open. With the winter chill looming around the corner you'll want something stylish to keep your head warm. David has chosen a dark navy design that complements his polo to give this casual outfit a polished undertone. If you like wearing bright colours, choose a paler number like this beige knitted hat which won't clash with your bolder fashion choices. 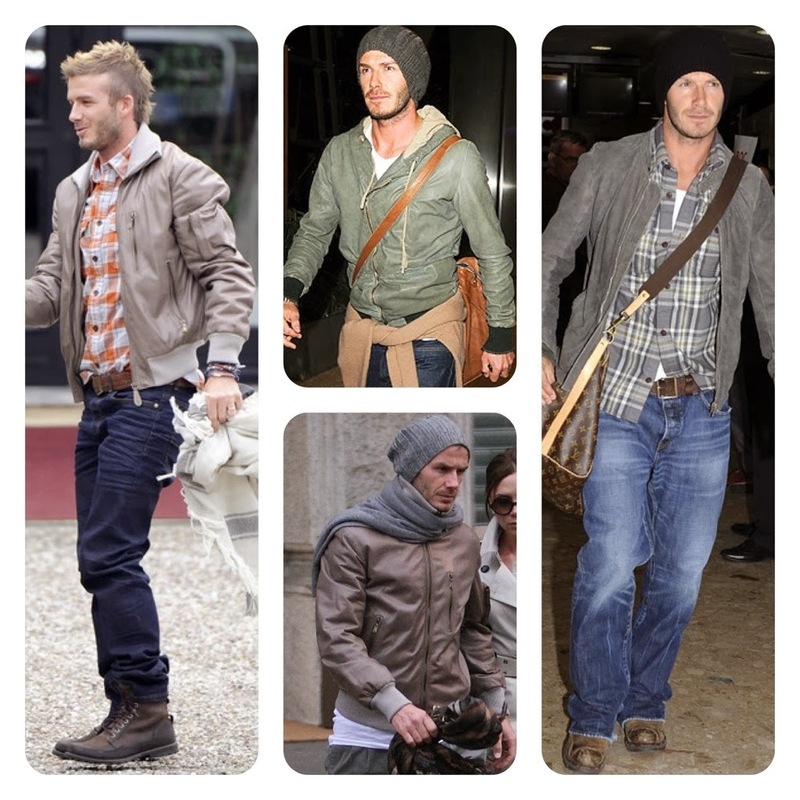 While Becks favours a loose style, you can also get more fitted hats for a slightly smarter feel. Any well-dressed chap can ruin his outfit by wearing the wrong pair of shoes. The good news is that a polo will work with a variety of designs. Stick on a pair of trainers for a casual look or smarten up with desert boots or brogues. Whichever you choose, make sure they’re nice and clean - there’s nothing worse than worn-out footwear. Men tend to stick with one cut of jeans but there are lots to choose from depending on the occasion. Polo shirts go with most of them, so opt for baggy bootcuts for the weekend, tight fitting skinny styles for the bar and smart straight cuts for laid-back but business-like office wear. Don't limit yourself to one style - check out the range of G-Star jeans available at Littlewoods. Fashion-savvy Becks has gone with black for his low-key outfit, and as a general rule it's best to go lighter for casual occasions and darker for smarter ones. A black or indigo hue has the added bonus of making you look more toned - not that the sports star needs any help with that! He's used to getting muddy on the pitch, but Becks also understands the importance of good grooming - he does have his own range of fragrances after all. His lovably scruffy look will probably come across as slightly too relaxed without a bit of care. Make sure your hair is neatly styled, trim any wild facial hair and stick some nice smelling aftershave on. Soon you’ll be as dapper as Becks himself, even without Harper's help! P.s: I really busy with a college things lately, i will post my outfit post soon! A.S.A.P ! !